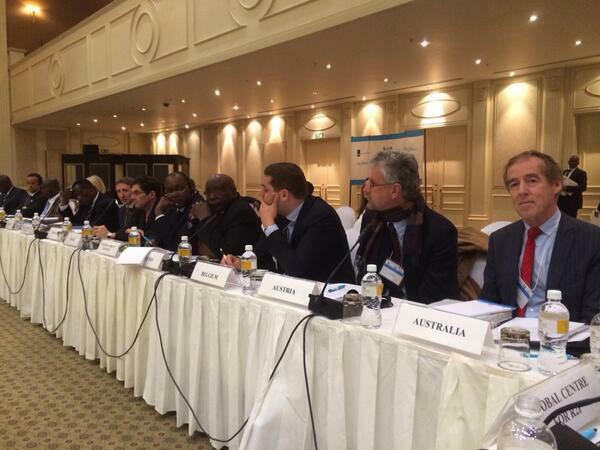 GABORONE, BOTSWANA – On June 12 – 13, 2014, the Auschwitz Institute for Peace and Reconciliation participated in the Fourth Annual Meeting of the Global Network of R2P Focal Points. The meeting was co-hosted by the governments of Botswana and the Netherlands, in association with the Global Centre for the Responsibility to Protect. 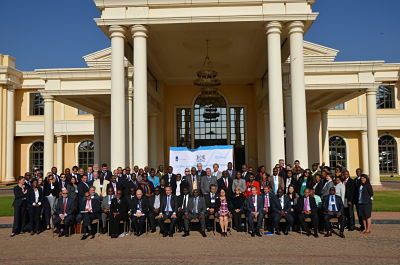 Representatives from more than 30 governments attended the first R2P Focal Points meeting to be held in Southern Africa. The Honourable Mr. Phandu T. C. Skelemani, Botswana’s Minister for Foreign Affairs, launched the two-day gathering. “Every one of us present here today has a contribution to make, based on our capacities and capabilities,” said Mr. Skelemani. “We must therefore keep our efforts coordinated and bound by unity of purpose. We must be voices for action in the face of genocide, war crimes, ethnic cleansing and crimes against humanity,” he added. The meeting focused specifically on how capacity building and international assistance can strengthen national architecture for the prevention of mass atrocity crimes. The importance of security sector reform, responsive judicial systems, memorialization, and reparations and accountability for communities affected by mass atrocity crimes were all highlighted as effective avenues towards prevention. Launched in 2010 by the governments of Denmark and Ghana, the national R2P Focal Points initiative calls upon governments to appoint a senior-level official tasked with formulating protective strategies to prevent mass atrocities. The Global Network of R2P Focal Points had 29 members when it last met in Ghana in June 2013. Today, the network includes 41 countries.